Here’s the bad news and the good news. The bad news: law school doesn’t show you how to be a real lawyer. 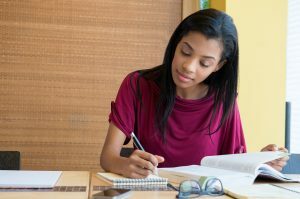 The good news: top lawyers have three skills that you can start developing in law school, so you can hit the ground running. In my time as a lawyer at both a boutique and large international firm, I’ve found that the best people to work with and for are those who have these skills. Doing this can reduce the stress levels in a very challenging and stressful profession. For example, I once worked with a senior associate to draft an antitrust risk analysis memo that required requesting data from the client as well as a great deal of research on our end. The timeline was fairly short but not impossible. Because the senior associate had great project management skills, had a process for double checking data and citations in place, and had workarounds when things didn’t always go according to plan, we ended up writing a great memo for the client and getting some praise from the partners too. It feels good to know what you are doing, and in law school you have three years to develop these skills. Having a solid foundation will serve you well in any profession but especially in lawyering. Project management helps you anticipate needs, set internal deadlines proactively, and manage expectations. Good managers have established processes and leave plenty of time for unexpected twists in a case. You’ll need to do this in your real job too, so it makes sense to start treating law school like a full-time job now. Don’t Skip this Step!! If you do, you’ll end up doing unnecessary tasks, spend too long on a single task, or do tasks out of order. You’ll put unnecessary stress on yourself. Resist the temptation to start on the first thing that your brain latches onto. Write down every single task that you think you need to accomplish to get there. Put the tasks in the order that makes the most sense for you. Write out how long they will take (be honest). Put those tasks on a calendar. Keep in mind: The beginning and the start of a “project” are usually the most jam-packed, so give yourself plenty of realistic space. Also, don’t try to be perfect—the point is to help you plan, not to find more ways for you to stress out. Being detail savvy starts with troubleshooting what errors you tend to make, when you make them, and then putting in safeguards to reduce the chance of future error. What is the error I’m making? Do I understand how to fix the error in retrospect, or is there a comprehension gap that I need to solve? What was the situation in which I made the mistake? What can I do differently next time for both myself or others to reduce the chances of the mistake? Thousands have written about resilience but to me it means cultivating an awareness of how you are feeling in the present moment and having an agile mind and body. You may choose to develop this by yourself through physical ways (e.g. exercise, sleep) or mental means (e.g. meditation). You may want to engage in consistent, proactive self-care – it’s a lot harder to be pliable if you already feel broken! You may want to have your friends, loved ones, or mental health professionals help you sort through your blockers and limitations when it comes to your beliefs about failure, perfectionism, and feeling enough. There’s a lot of people who struggle with tough challenges in the legal profession. By developing yourself to be resilient, you can also help lift up others who may be going through the same things. Do this, and you’ll be ready to be a real lawyer. I wish that someone gave me this advice sooner in law school, because, while focusing on how to read cases well or how to do legal research also matters, these are skills that can serve you well in any context. Don’t be afraid to experiment and practice all the different ways you can develop these skills – now is the time to try and see what works the best for you. Good luck, and happy lawyering!